A sculpture of a mysterious, never-before-seen Roman deity has been unearthed in an ancient temple in Turkey. The 1st century B.C. relief, of an enigmatic bearded god rising up out of a flower or plant, was discovered at the site of a Roman temple near the Syrian border. The ancient relief was discovered in a supporting wall of a medieval Christian monastery. The ancient Roman god is a complete mystery; more than a dozen experts contacted by Live Science had no idea who the deity was. The temple sits on a mountaintop near the modern town of Gaziantep, above the ancient city of Doliche, or Dülük. The area is one of the oldest continuously settled regions on Earth, and for millennia, it was at the crossroads of several different cultures, from the Persians to the Hittites to the Arameans. During the Bronze Age, the city was on the road between Mesopotamia and the ancient Mediterranean. In 2001, when Blömer’s team first began excavating at the site, almost nothing was visible from the surface. Through years of painstaking excavation, the team eventually discovered the ruins of an ancient Bronze Age structure as well as a Roman Era temple dedicated to Jupiter Dolichenus, a Romanized version of the ancient Aramean sky or storm god, who headed the Near Eastern pantheon, Blömer said. During the second and third centuries A.D., the cult of Jupiter Dolichenus became a global religion likely because many Roman soldiers were recruited from the area where he was worshipped, and those soldiers took their god with them, said Gregory Woolf, a classicist at the University of St. Andrews in Scotland, who was not involved in the excavation. After the temple was destroyed, medieval Christians built the Mar Solomonmonastery on the foundation of the site, and after the Crusades, the site became the burial place of a famous Islamic saint. Blömer’s team was excavating one of the old buttress walls of the Mar Solomon monastery when they discovered the relief, which had been plastered over. The relief depicted a bearded man rising up out of a palm-type plant while holding the stalk of another. The bottom of the relief contains images of a crescent, a rosette and a star. The top of the relief was broken off but when it was complete it would have stood about the size of a human being. “It was quite a big surprise when we saw the relief coming out of in this area of the site,” Blömer told Live Science. The mysterious deity may have been a Roman spin on a local Near Eastern god, and the agricultural elements suggest a connection to fertility. But beyond that, the deity’s identity has stumped experts. The fact that he is rising out of a plant is reminiscent of the birth myths of some gods, such as the mystery cult god Mithras, who was born from a rock, or the Greek goddess Aphrodite, who was born out of sea foam, Woolf speculated. Though the gods’ identity is a mystery, the hybridization of gods isn’t unusual for the time, Woolf said. “When the dominant style in the area is Greek and Roman, they give their gods a face-lift,” Woolf told Live Science. For instance, the ancient Egyptian gods end up wearing the clothes of Roman legionaries, and ancient Mesopotamian gods, which were typically depicted as “betels” — stones or meteorites — get human faces, Woolf said. The best chances of identifying this enigmatic deity is to find a similar representation somewhere with an inscription describing who he was, Woolf said. But getting the word out could also help. Sometimes findings get widely disseminated and “someone turns up a little object that they’ve had in their private collection and say, ‘Do you know, I think this is the same person,’” Woolf said. Follow Tia Ghose on Twitter and Google+. Follow LiveScience@livescience,Facebook & Google+. Originally published on Live Science. In this photo from 2013, archaeologist Erez Ben-Yosef points to a trench at Slaves’ Hill, a copper smelting camp in Timna Valley. SAN DIEGO — Metalworkers who did skilled labor at biblical-era copper mines in modern-day Israel were rewarded for their efforts with well-rounded meals, new research suggests. The metalworkers’ diet included good cuts of sheep and goat, as well as pistachios, grapes and fish brought to the middle of the desert from the Mediterranean, according to an analysis of ancient leftovers at “Slaves’ Hill,” a mining camp in Israel’s Timna Valley. “Somebody took care that these people were eating well,” said Erez Ben-Yosef, an archaeologist from Tel Aviv University. Since 2012, Ben-Yosef has been leading an archaeological expedition in the heart of Timna Valley, the second biggest source of copper in the southern Levant region. (The biggest is Faynan, farther north in Jordan.) People haven taken advantage of the copper deposits at Timna for millennia. There are dozens of smelting sites and thousands of primitive mining pits clearly visible in the region today. And the area is still used for copper production; the Mexican mining giant AHMSA has a stake in the region. The red pin shows the location of Timna Valley, in present-day southern Israel. When the famous biblical archaeologist Nelson Glueck explored the region in the 1930s, he named this hilltop site Slaves’ Hill, assuming that its fortification walls were intended to keep enslaved laborers from running off into the desert. “When he saw this very harsh environment, he assumed that the labor force had to be slaves,” Ben-Yosef told Live Science. But the findings of the Central Timna Valley Project paint a different picture. Ben-Yosef and his colleague Lidar Sapir-Hen, another archaeologist at Tel Aviv University, looked at animal remains from Slaves’ Hill and found mostly sheep and goat bones, many with butchery marks. This supports the idea that this mining camp relied on livestock for food. Bones from the meatiest parts of the sheep and goats were found near the smelting furnaces. The archaeologists also found the remains of 11 fish, including catfish, which would have come from the Mediterranean Sea, at least 125 miles (200 kilometers) away. The researchers found pistachios and grapes, too, which would have come from the Mediterranean region. The team also discovered a sea snail known as a cowrie, which would have come from a more local water source, the Red Sea, at least 19 miles (30 km) to the south. The archaeologists said they think that whoever was running this mining camp was importing food and saving the best cuts of meat for the metalworkers, not the people who were doing auxiliary tasks, such as cooking the food, crushing the ore and preparing the charcoal, nor slaves who might have been working in the actual mines. Metalworkers had to be multitaskers. They controlled nearly 40 different variables, from the temperature to the amount of air to the amount of charcoal in the furnace, Ben-Yosef said. The site has a complicated scholarly history. When Glueck first explored the region, he thought he was looking at Iron Age mines that fueled King Solomon’s fabled wealth. Later research then cast doubt on Glueck’s interpretation. In 1969, an Egyptian temple dedicated to the goddess Hathor was discovered in Timna Valley. Archaeologists at the time took this as evidence that mining in the area was controlled by Egypt’s New Kingdom during the Bronze Age, a few centuries earlier than the supposed reign of King Solomon. When Ben-Yosef’s team revisited the site, they took carbon dates at Slaves’ Hill, and found that most artifacts date to the 10th century B.C., when the Bible says King Solomon ruled. Still, there is no evidence linking Solomon or his kingdom to the mines (and little evidence outside of the Bible for Solomon as a historical figure). One theory is that the mines were controlled by the Edomites, a semi-nomadic tribe that battled constantly with Israel. Last year, the team’s research at Timna Valley added another layer of nuance to the biblical narrative. Ben-Yosef and Sapir-Hen published ananalysis of camel bones at Slaves’ Hill and other surrounding sites. The age of the earliest bones supports the theory that camels were not introduced to the region until at least the early Iron Age — in contradiction to the Old Testament, which refers to camels as pack animals as far back as the Patriarchal Age, which is thought to be around 2000 B.C. The latest findings of the Central Timna Valley Project were detailed in the September issue of the journal Antiquity and were presented here last week at the annual meeting of the American Schools of Oriental Research. The team will return to Timna Valley in February 2015. Ben-Yosef said that the researchers will investigate the smelting technology of the Egyptians who worked in the region during the Bronze Age, and will explore the actual Iron Age mines. Follow Megan Gannon on Twitter. Follow us@livescience, Facebook& Google+. Original article on Live Science. 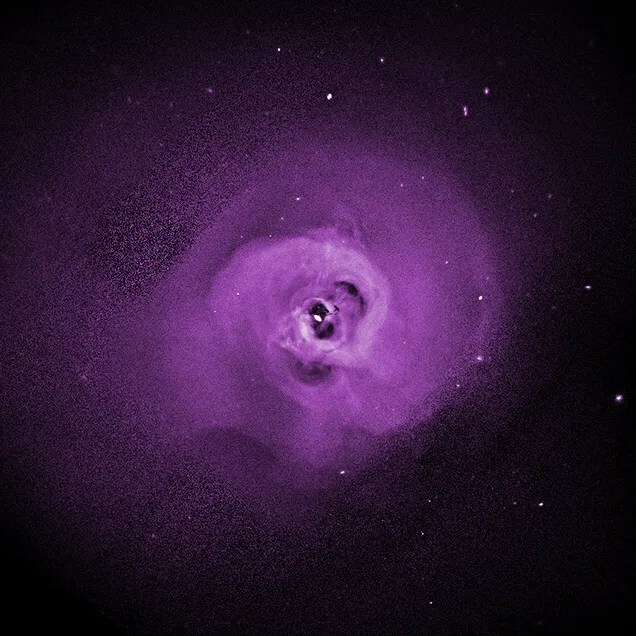 This image of the Perseus galaxy cluster shows something extraordinary. In X-ray light, you can see the superheated gas which bathes the thousands of galaxies in the cluster. And in the shape of the gas, scientists found evidence of turbulence on a cosmic scale. Read the full scientific paper, available online. Check out these stunning photos of natural sandstone arches in the American Southwest. These incredible geological formations are a reminder of the power and beauty of nature. Follow us @livescience, Facebook & Google+. The National Park Service celebrated its 98th birthday on Aug. 25, 2012. To mark the occasion, NASA released satellite images of 10 of these national treasures.To start, see the tall granite peaks and forests of Yosemite National Park in California, as captured by this true-color image from NASA’s Landsat 7 satellite in 2001. Glaciers shaped the park’s landscape in the Pleistocene Ice Age and left behind canyons, waterfalls and granite domes, according to NASA. Fossilized tracks left by ancient dinosaur, lizard and turtles litter the Colorado National Monument. Hikers will also see natural potholes, or sandstone basins filled with rainwater, sediment, plants and animals, according to NASA. Arkansas’ national park has an urban center in its middle, but it still sports 8.7 square miles (22.5 square kilometers) of wilderness, including part of the Ouachita Mountains. The park is famous for the 700,000 gallons (2.6 million liters) of hot water that bubble up near Hot Springs Mountain every day. NASA’s Landsat 8 snapped this photo in June 2013. Grey rock, green vegetation, eye-catching redwoods and a wispy white beach can be seen in this image taken by the Enhanced Thematic Mapper Plus instrument on NASA’s Landsat 7 satellite in 2003. Redwood National Park is one of the most seismically active in the U.S., leading to landslides and erosion along the coast, NASA said. When bodies of water evaporate, gypsum is left behind. It is gypsum that forms the white sands of this monument in America’s Southwest, now in the form of tiny grains after having been broken down from its crystal form by various weather events. The Advanced Land Imager on NASA’s Earth Observing-1 satellite took this image in 2009, the agency said. The reddish patches in this satellite photo are autumn foliage turning color, as captured by the Thematic Mapper NASA’s Landsat satellite on Oct. 10, 2010. President Franklin Delano Roosevelt dedicated this national park in Virginia in 1936, and today hikers still enjoy the 280-square-mile (725 square kilometers) park in the Blue Ridge Mountains. Old Rag Mountain draws outdoor enthusiasts, but its rock scrambles make it a challenge for many to climb. Some of the land in this park once sat on the Earth’s equator during the Permian Period, but tectonic forces moved it to its current location in south-central Utah. Researchers found two new herbivorous dinosaur species in this park in 2010. The Advanced Land Imager on NASA’s Earth Observing-1 satellite snapped this image over the Kaiparowits Basin in 2005. It’s hard to see the diversity of Joshua Tree from space, but the park is home to 700 plant species. Cacti, wildflowers, 25 types of snakes, various mammalsincluding bighorn sheep and coyotes, hundreds of migratory birds and thousands of insect and arthropod species, such as tarantulas and scorpions, all live in the region. These diverse plant and animal species make use of the Mojave Desert and Colorado deserts, the Little San Bernardino Mountains and five desert palm oases. However, the park may be most famous for its Joshua trees, which hold precious water in times of drought. The Snake River in the Pacific Northwest carved out Hells Canyon about 6 million years ago. The enormous flood from Glacial Lake Bonneville in Utah shapedthe area further about 15,000 years ago. Today, Hells Canyon is 8,043 feet (2,451 meters) above river level, which makes it deeper than the Grand Canyon. Once covered by the Cretaceous Sea about 135 million years ago, Big Bend National Park is now home to fossils of oysters, giant clams, turtles, rhinos and a nearly 50-foot-long (15 meters) crocodile, NASA reports. This large flying creature, with a wingspan the size of a small airplane, also lived in the region about 220 million to 65 million years ago. NASA’s Landsat 7 satellite snapped this image of the park in southwestern Texas in 2002. Archaeologists uncovered 10 tombs in the cemetery, seven of which are large structures made with bricks. This image shows part of the cemetery facing north. Tomb M3, pictured here, contains a ramp, sealed gate, screen walls, tomb entrance, passage, burial chamber and side chamber. Researchers also found carvings of mythical creatures. More than 10 occupants were buried in tomb M3 at different times, the researchers said, but the burial containers have now decayed. All the large brick tombs in the cemetery contain multiple burials. A screen wall of tomb M3 contains carvings that depict a variety of mythical creatures. Heavenly deer are shown at both top right and top left, while at bottom left and bottom right are mythical animals called Xie Zhi. In between the deer and the Xie Zhi, there are carvings that depict the Vermilion Bird of the South (on left, second from top), the White Tiger of the West (on left, second from bottom), the Black Turtle of the North (at right, second from top) and the Azure Dragon of the East (at right, second from bottom). The dragon, bird, black turtle and white tiger are creatures that represent different seasons and parts of the heavens. An up-close view of a heavenly deer from the screen wall. The carved bricks were originally painted, but these decorations have since peeled off. This image shows another view of the interior of tomb M3, facing northwest. While the cemetery had been robbed, archaeologists found a number of artifacts. This lotus petal guan jar is from tomb M3. This image shows another large brick tomb discovered in the cemetery, dubbed M1. This photo shows the tomb facing west. A view of the antechamber of tomb M1, showing some of the human remains found in the tomb. Forging a Photo is Easy, but How Do You Spot a Fake? This article was originally published on The Conversation. The publication contributed this article to Live Science’s Expert Voices: Op-Ed & Insights. Faking photographs is not a new phenomenon. The Cottingley Fairiesseemed convincing to some in 1917, just as the images recently broadcast on Russian television, purporting to be satellite images showing the MH17 airliner being fired upon by a jet fighter, may have convinced others. In fact, recently there’s been a proliferation of images appearing in the media that are not all they seem. Did Malaysian politician Jeffrey Wong Su En really receive a knighthood from the Queen? Has Iran exaggerated itsmissiles, or North Korea itsassault hovercraft? Was this cover of Nature manipulated for artistic symmetry? The widespread use and high quality of digital cameras and photo editing software has made the art of faking a whole lot easier and more commonplace – whether convincing or not. One of the Cottingley Fairy images – high tech in 1917. Images can mislead the viewer by modifying, inserting or removing objects from the scene. Many photo editing applications include tools that can remove objects cleanly from their surroundings with a few clicks. This is known asinpainting. An early method was to fill the void left in the image by smoothly interpolating inwards, based on sampling the pixels at the edge of the missing area. Other techniques include seam carving, content-aware image resizing in which an algorithm establishes the image’s important areas in order to remove or expand sections around them without affecting the subject of the image. An alternative is to clone an area of the image (or another) and copy it into the gap. This technique can also be used to replicate objects – such as Iranian missiles, or North Korean hovercraft – and is easily implemented in editing software, although the edges of the copied region may need to be skilfully blended into the background to be convincing. So the content – and therefore the interpretation – of an image can be dramatically altered. But creating really convincing images is more challenging than you might think; the direction and strength of lighting must be consistent between the altered region and the rest of the image, and this is hard to fake. Digital image forensics is the science of detecting tampered regions in images and connecting images to the cameras or devices that created them. Broadly there are two lines of investigation: those forgeries revealed by inconsistencies in the image’s composition and those with detectable disturbances introduced during editing. A poorly constructed composite photo will exhibit gross inconsistencies in lighting and perspective that will be noticed even by the untrained eye. For more accomplished forgeries, a rigorous analysis of shadow and reflection geometry may be required to detect tampered regions. This is a method developed recently by researchers at Dartmouth College in the US, whose approach is to superimpose lines on an image connecting objects to their shadows in order to indicate the position of a light source within the scene. Objects inserted into the image are likely to exhibit shading that is inconsistent with what would be expected given the position of the light source in the image. When white light passes through a lens it can separate into red, green and blue wavelengths of light, producing an effect called lateral chromatic aberration which can be seen in photographs. The strength of the chromatic aberration depends on the properties of the lens and the distance of objects in the image from the lens’ focal centre. So any elements of the composition added from another photograph, captured using a different lens, will show detectable differences in chromatic aberration. An image composite of foreground and background objects. Our research group designed software that detects differences in image noise to identify the edited region. All photographs contain artefacts – regular patterns, distortions, or errors – caused by the imaging process which are mostly imperceptible to the human eye but play an important role in digital image forensics. For example, colour digital images are created by applying a filter of alternating red, green and blue over the pixels of a camera’s sensor, so that each absorbs only one colour. A process called demosaicing then renders this information as a full colour image, but leaves a regular pattern. Any interruption to this pattern indicates tampering. An interesting, growing trend is counter forensics, where the forger attempts to cover their tracks in order to evade these and other detection methods. For example, the image noise present in the original can be sampled and fake noise applied to any inserted image objects so that they appear to match the original. Clearly, faking it and finding fakes are two disciplines that are going to keep evolving as technology advances. Stuart Gibson does not work for, consult to, own shares in or receive funding from any company or organisation that would benefit from this article, and has no relevant affiliations. This article was originally published on The Conversation. Read the original article. Follow all of the Expert Voices issues and debates — and become part of the discussion — on Facebook, Twitter and Google +. The views expressed are those of the author and do not necessarily reflect the views of the publisher. This version of the article was originally published on Live Science.